The North-South divide that exists in Britain tody is nothing new. Before the Romans arrived in Britain in great numbers in 55BC, Britain was already a nation split by economic and social extremes. Did the Romans have an effect on Britain even before they took control of the country? There was no one factor that caused sections of Britain to develop at a different pace than the others. At the time of the first Roman expedition instigated by Julius Caesar, Britain had moved from the Bronze Age into the Iron Age. The British had learned to fashion weapons, armour and jewellery from metal. Throughout the country the tribes were producing intricate designs in metal. But the South, and especially the South-East of England were definitely more developed in the basics of life than their northern counterparts. The food was more varied, wine was a common drink at meals, the houses were of a more rigid construction. To see how this divide occurred, we need to take a look at separate factors that had an influence on the changes in Britain. The tribes in the South and East of England were already trading heavily with their European neighbours, even before 100BC. By the very nature these people lived on or near the coast meant they had easy access to the continent, which the inland tribes did not. As such they were able to import a wider variety of goods into Britain. There was a major problem with trading between nations because there was no common currency to use. That was until the Catuvellauni took control of a large part of Britain and changed the situation. But more of this later. To get around this problem the British would insist in trading goods for goods, rather than goods for coins. Even so, they still managed to have a healthy trading partnership in items such as clothing and hunting dogs that were not readily available abroad. In return the Europeans gave the British fruit, foods and wine that were grown in the temperate climate south of Britain. New techniques in building came into Britain and the basic wooden and thatch hut so common in Britain gradually changed into a strong wooden construction that withstood the erratic British weather better than before. Britain also imported people who settled in the country. This was not intended and came about by the desire of many inhabitants of Gaul to escape the increasing warfare that was prevalent at the time. In Gaul, tribe fought tribe and also the advancing Roman army. The Atrebates, Parisi and Druids were tribes that were alien to Britain at one time, but settled amongst the British and sought refuge from the troubles in their own countries. The Druids especially were a persecuted race because of the mistreatment they were subjected to in Europe. This was because of the mystical reputation they had developed, and their ritual human sacrifices. The Romans especially detested the Druids and chased them across the channel into Britain. 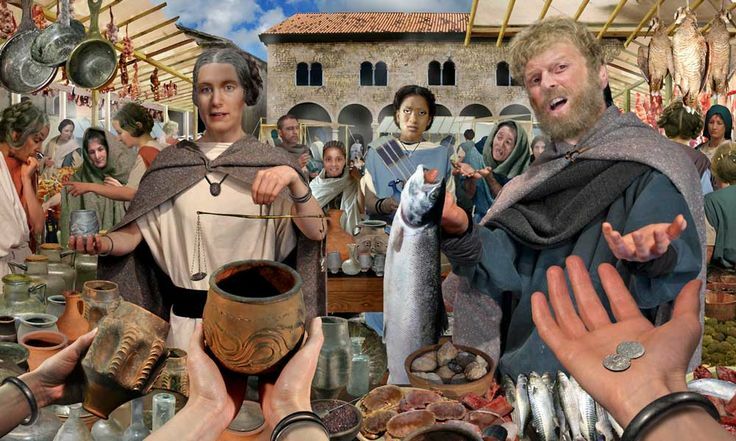 As the Romans reached the coast of Gaul, even more goods became accessible. Exotic fruits, new wines and techniques in all aspects of building and crafts came to Britain. Of course, it was the southern tribes that were the first to benefit from all this. These tribes took on new ways and practices. By now they had their own currency. Market centres where goods could be traded freely were established. The standard of political and economic administration improved and Britain even had it's own capital, based at Colchester which was named Camulodunum. This should actually read "the lack of a transport system in Britain." Before the Romans brought their famous roads to the island, there were no effective roads to transport goods across the country. All Britain had were tracks that had developed, by wear, over time. As the country was so segmented, the tribes could not agree on where the roads would be and who would pay for them. Besides, they did not have the technology to build them in the first place. Any fruits that were transported into the northern territories took weeks to arrive, and when they did they were rotten and unfit to eat. The landscape became for rugged further north which caused problems with the carts and horses. If a wagon dropped into a hole in the track and broke a wheel, there was no way to repair it. There were no blacksmiths within easy reach to repair broken axles. No wheelwrights to make the cart usable again. The trader was stuck with broken transport and goods that would probably have rotted by the time he managed to get going again. To a certain extent, the South-East of Britain went through many changes in between Caesar's failed expeditions and Claudius' succesful invasion. In the near 100 years between these events the Catuvellauni tribe occupying the lower Midlands of Britain had been on the move and completely overrun the whole of Britain to the South-East of their region. The Trinovantes, Cantiaci and the Atrebates were now under the control of the Catuvellauni. Originally all these tribes had been from Belgae and had emigrated to England around 100BC. They spoke a Celtic-Belgic language of which they had developed their own particular dialects. The effect of this was a certain unification of the South-East under a common leader, Conobelinus, king of the Catuvellauni. As such, trade, the exchange of ideas and the development of technology improved by the amalgamation of these new minds. The conquered tribes took on the currency of their new rulers which meant that they did not have to trade goods for goods as the outer tribes did. They could now set a price for products and services which were common to all the region. Also they began to accept Roman currency in their trade with Gaul which opened up even more inlets for business and innovations. It was probably the actions of the Catuvellauni that made the biggest impression on the North-South divide. For years before the expedition of 55BC, Caesar had sent spies into Britain posing as traders to gather information about locations of tribal settlements, their strengths and their weak points. He also had merchants and travellers questioned about their impressions and viewpoints of Britain. Those he questioned knew of his reputation and that of the Romans so they co-operated in the best way possible to ensure their own safety. They told the Romans what they wanted to hear. 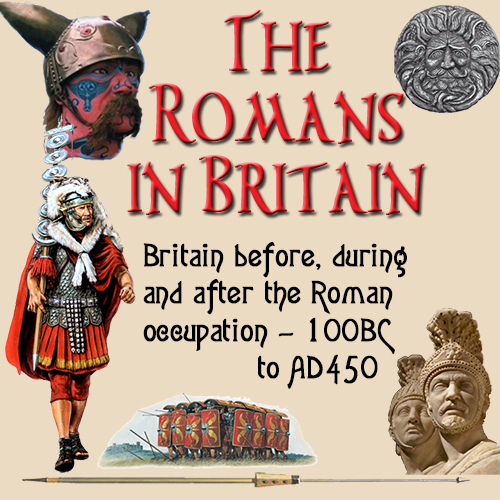 The Romans were led to believe that Britain was a nation of segmented tribes, savage and undisciplined and so posing little threat to the mighty Roman army. When he did send his armies to Britain in 55BC and again in 54BC, he was totally unprepared for the fierce way in which the tribes defended their territories. This coupled with the unpredictable British weather that prevented much of his army from making a landing, he was on a loser from the outset. What Caesar had not realised, was that the British had sent their own spies into Gaul to gather information about the Romans and their movements. The tribes of the South-East had learned a lot from the experiences of their clashes with the Romans. Although they fought the Romans, the tribes in the South-East welcomed their new masters and quickly adapted to the new administration. By the time of the invasion, many of the tribes were so heavily into trade with Roman Gaul, that they had taken on many of the Roman's mannerisms. Many homes of the British tribal leaders resembled Roman architecture. They ate Roman. They drank Roman. They dressed Roman. They had already taken on Roman traits in their daily lives. In fact, the southern British did not need to change much as they had copied much that was Roman anyway. If you imagine a line from Exeter to Lincoln, that is where the North-South dividing line was generally accepted to be. This line was roughly follows the Fosse Way. When we talk of the North-South divide in Britain today, the line is drawn virtually along the same path that it was in Roman times. Coincidence? The tribes north of this line did not have easy access to the new ways, and so they stayed as they had been for generations. But that was about to change. The Romans were here. And they were staying.